Join our Telegram or sign up directly for the event. 50 limited spots! The purpose of this event is to accelerate the development between the European and Chinese blockchain industry. We believe this is way towards “mass adoption”. BM once said, sidechains are the future. Europechain, as a leading EOS sidechain project is a bridge not only connecting the European EOS community, but also leading innovation within the Chinese EOS community. This is a Sino-European summit for in-depth communication between global participants in the Blockchain industry. Meanwhile, there are nearly twenty businesses and institutions supporting this event, building a solid foundation for future cooperation. 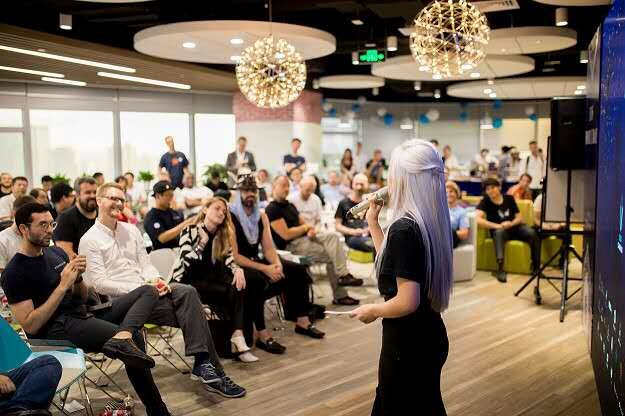 There are innumerable block producers, wallets, dApp teams, sole dApp developers sharing their projects during the event, as well as leading social media outlets broadcasting live. How can this event benefit you? Attendees will be able to engage and collaborate with industry leaders spearheading current Europechain projects, learn about the legal foundation supporting the European market, and receive formal invitations to join future Europechain events. Additionally, there will be exciting recruitment opportunities for exceptional computer programming applicants during the event. Europechain is keen on learning from Chinese blockchain teams, their projects, dApps, and advanced technology. 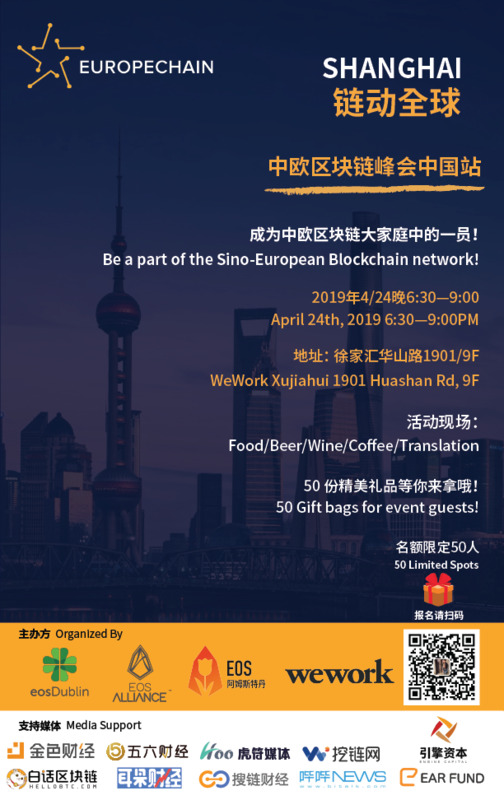 In addition to enhancing our communication channels, this event will focus on promoting consensus between Europe and China as well as using the Chinese Blockchain community as a paradigm for accelerating technological advancement. Europechain will serve as a bridge between Europe and China, providing potential business opportunities for the entire community. Following the event, Europechain will selectively choose notable projects from the Chinese Blockchain community and provide investment funding and incubator resources to assist with project technology, expansion, and management. 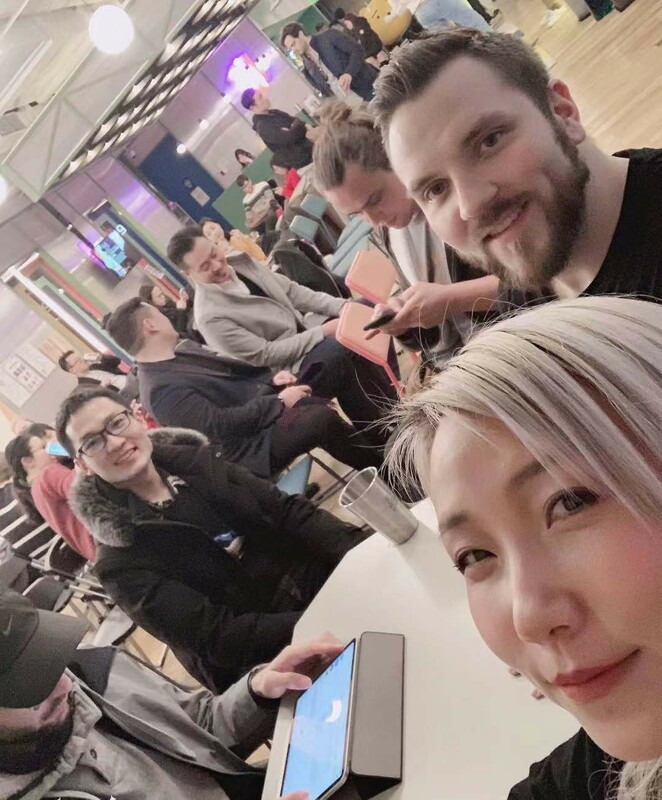 EOS Dublin Co-founder Sam, EOS Dublin Co-founder Sharif, Xian Nv technology CEO XiaoDao, WeWork Regional Account Executive Joshua, EOS Cannon Ricky, Oath Protocol Co-founder YinXu, EOS Amsterdam Co-founder Rhett, EOS Amsterdam co-founder Jetse, EOS Amsterdam Chinese Community Leader Brian lee, Math Wallet Co-founder WuYan, EOS Alliance Executive Deputy Myra Wang, EOS Asia Co-founder Joseph Fanelli, EOS LaoMao Community Manager Yvonne, EOSphere Founder Ross, MeetUGo General Manager, Liebi CEO Wangzengfeng. This time the event will break with tradition and invite high participation from guests. European BPs will walk you through the European EOS ecosystem and blockchain industry, sharing their China tour experience with you. The most important component of our event is group discussion. Guests will be broken into five groups, each group will consist of ten people. 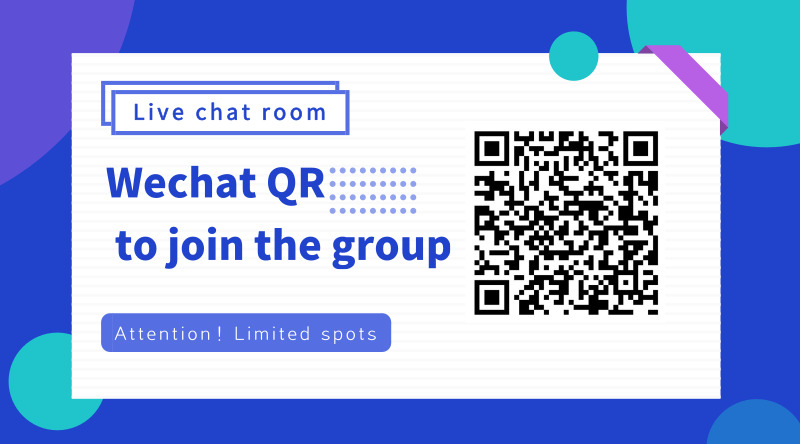 During the group discussion session, group members will introduce themselves to each other and share their opinions on current blockchain market. In the end, two participants will be selected as team leaders to introduce their team’s ideas as well as present what they have learned from each other. At this event, everybody is a guest, everyone can participate, and everyone can interact with the content. Additionally, the event organizers have prepared gifts from Europe, and in the future will send official invitations to the prominent Chinese teams to attend future Europechain events. In order to increase participation and guest interaction, we will provide a live interpreter to assist you at the event, language will not be a hindrance to our communication. Be brave and speak your mind! Your voice will be heard around the globe. The event will provide guests with free food, beer, wine, and coffee. Relax, grab a drink and enjoy the event! All guests are welcome to leave their EOS account name before they leave, and Europechain will make sure you are provided early bird notifications to receive our airdrops. We look forward to seeing supporters and enthusiasts of the Blockchain community, exploring the power of technology and creativity in the industry. We believe the future of blockchain has no borders, and it is because of this we can be in the same room for this event. Please RSVP to the event as the space is limited to the first 50 participants. We look forward to seeing you there!